The Bookshelf app is based on the javax.servlet web application framework and uses JavaServer Pages. The Bookshelf sample app uses Servlets. However, the concepts and technologies explored are applicable regardless of which framework you use. You could implement this app in another web application framework of your choice, for example, Spring Boot (sample). 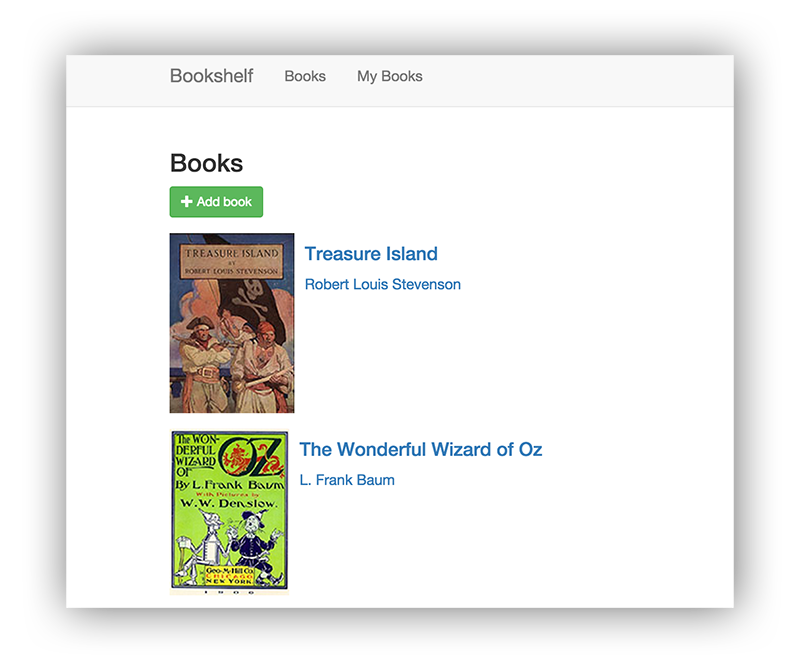 Users can view the list of books. Users can log in with their Google Account and view the books that they have added to the list. To deploy a Java app to App Engine, you must first set up your environment. See Using Apache Maven and the App Engine Plugin for details. Note:You can create Cloud SDK configurations to set configuration properties, such as a GCP project ID, and then switch between those configurations each time that you use the gcloud tool. See Managing Cloud SDK configurations for more information. This tutorial assumes that you are familiar with Java and that you have Java 8 and Maven installed. The forms part of the tutorial demonstrates how the app uses web forms to to receive and store book information. The app's web page displays a form where the user can enter the title, author, description, and publication date of a book. For each book entered, the app stores this information in a database, so it can be retrieved later for viewing or editing. For this step of the tutorial, you have your choice of two databases: Cloud Datastore or Cloud SQL. After you complete this step with one of the databases, you can move on to the next step.